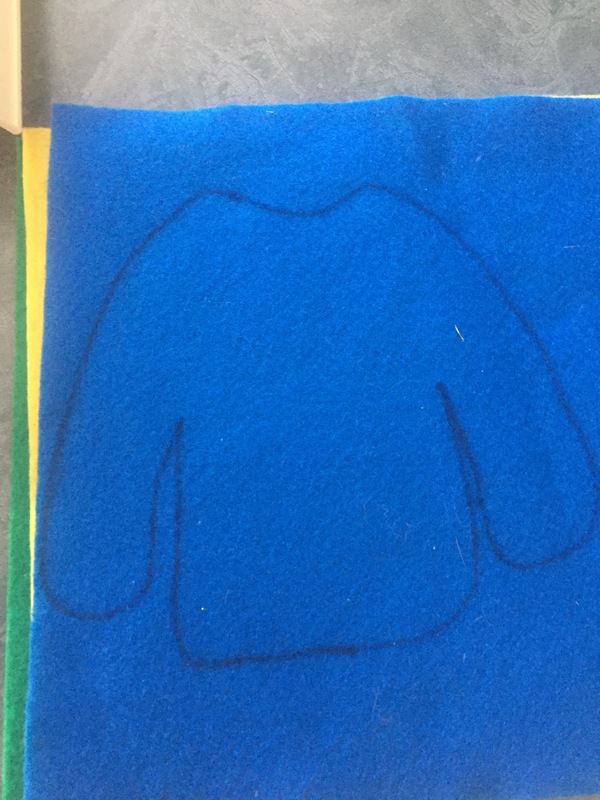 Felt sheet and marker to draw sweater pattern! Cut out as many as you’ll need for as many who are participating! Stuff! 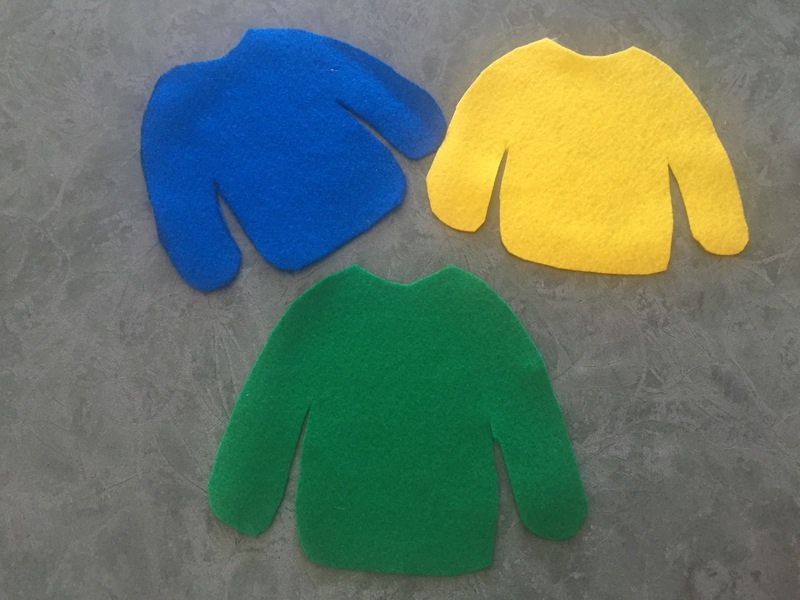 I raided my scrapbooking and sewing cupboard to find many things the kids could stick to their sweater! You can use whatever you have laying around! We even used some cotton balls! 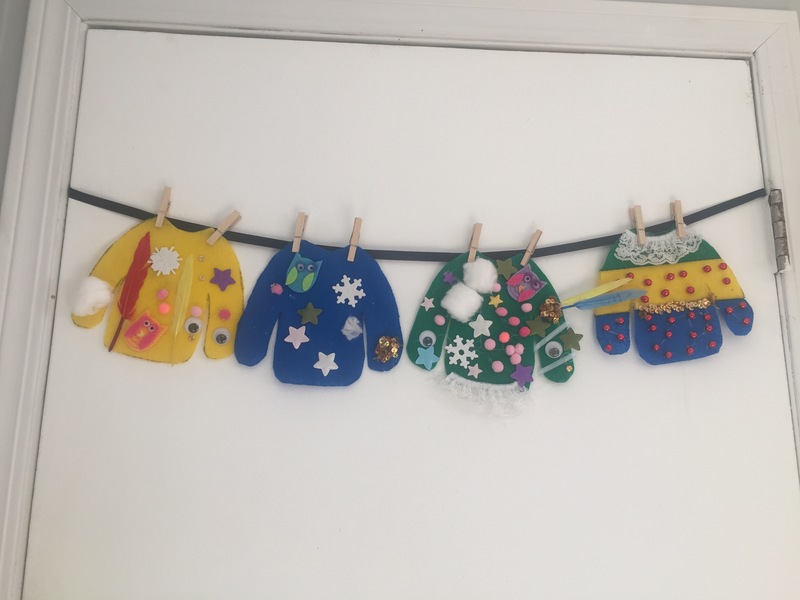 This was a fun and easy project for all my kids and me too! 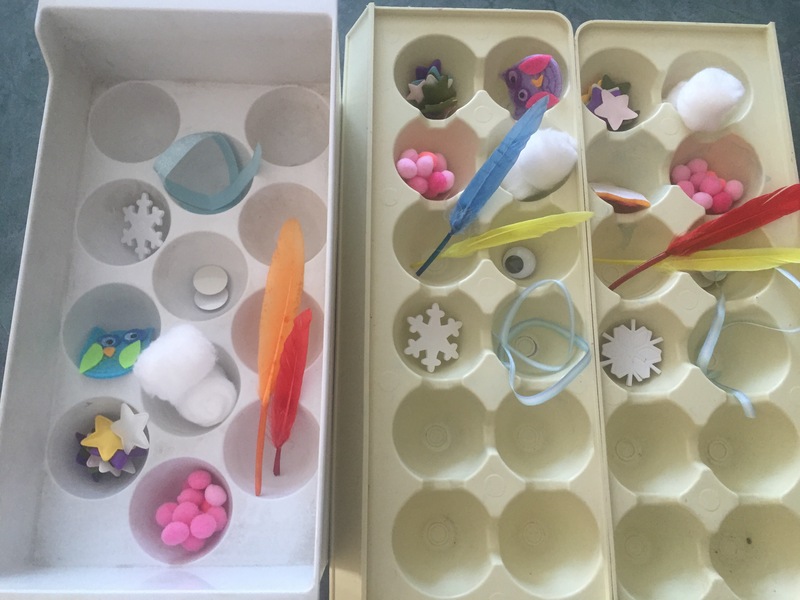 I helped with the gluing of the things that didn’t have sticky backs to them, but older kids could likely do their own gluing! If you are like us some winter days are just way too cold to get outside no matter how bundled you get! So we have been having fun finding new activities to work on inside and this one was a hit!